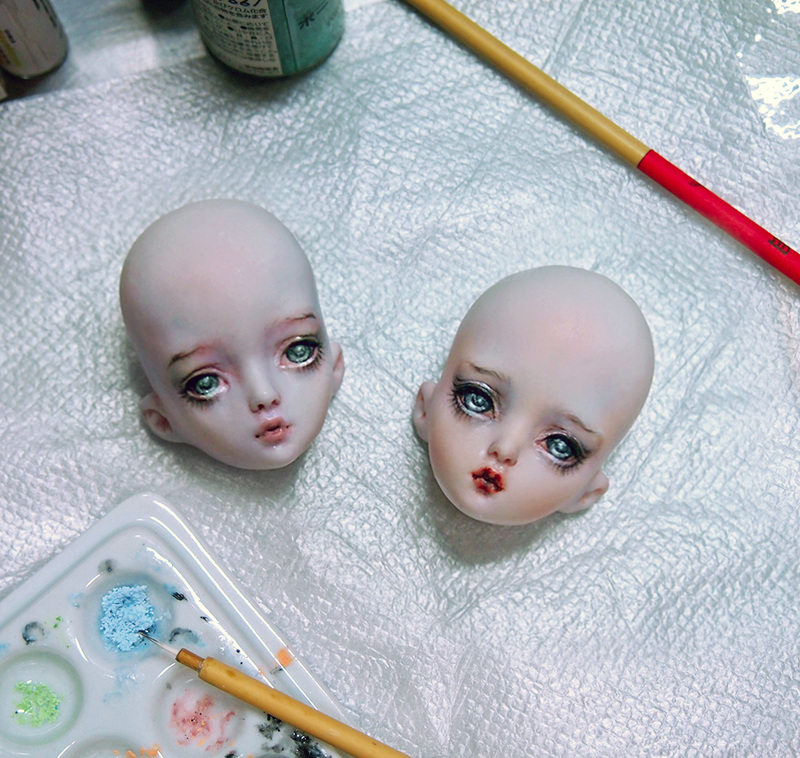 Just finishing the last fused glass painted layers for the September order Moonglass dolls, and having so much fun. 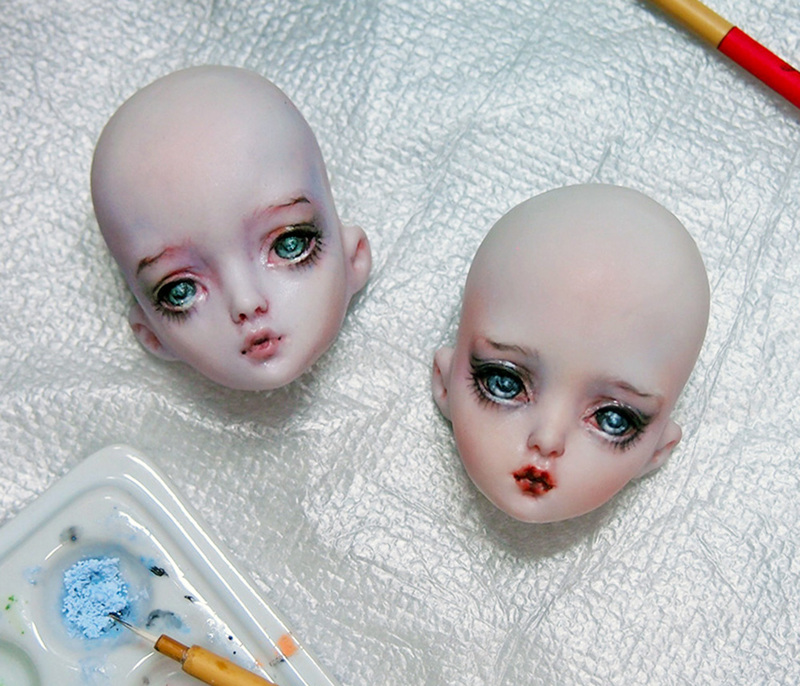 Moonglass absorbs the light so beautifully, and looks so life like, that I sometimes think these girsl are alive and looking back at me as I`m painting them. Can`t wait to see them stringed!